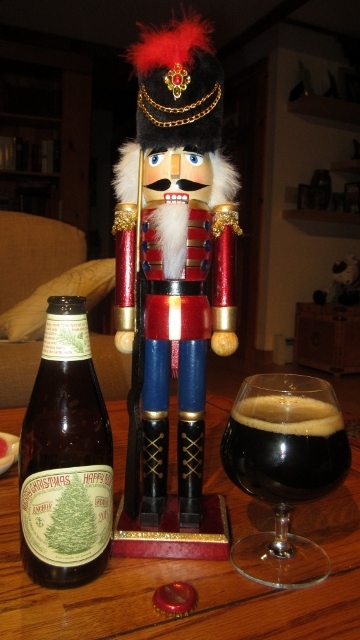 Last year I started to pick a one-a-day holiday beer or winter warmer on December 20 in a 12-day headlong rush to New Year’s Day. Thought I’d try a little earlier this year [Dec. 14, 2013] in a headlong rush to Christmas Day. Neither approach has anything whatsoever to do with the actual 12 Days of Christmas, for those of a religious bent. They begin on Christmas Day and run to the eve of Epiphany on January 5. 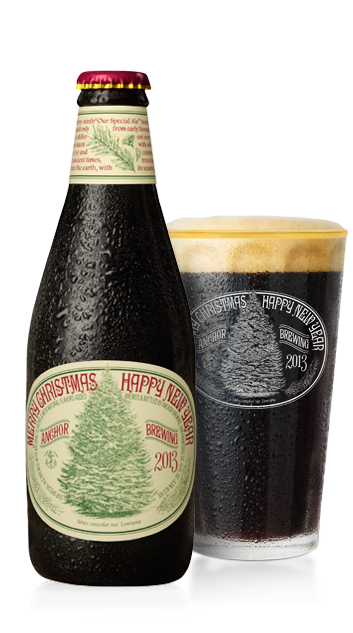 As last year, all we really need to know is 1) how the 39th rendition tastes and 2) what tree is on the label? 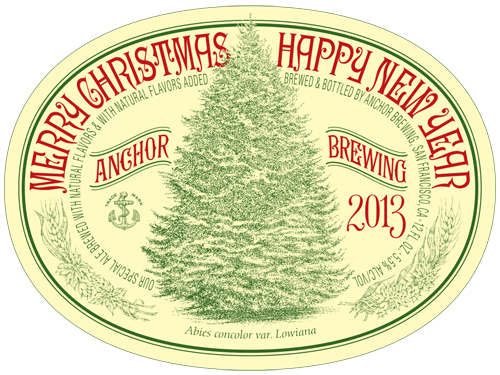 Unlike Celebration Ale, Anchor tinkers with its recipe each year (though remaining tight-lipped about it), and slaps a new tree on labels drawn by artist Jim Stitt. There’s a pretty neat scroll through 39 years of the labels here at the Anchor website. I thought it was a little mild, too—maybe too much so. What in recent years has seemed a highly spiced, spruce-like brew is dialed back more than I’d like. The aroma is alluring and the beer starts off promisingly, with a sweet entrance, an immediate tart mouthfeel swimming in fruity aromas. But there seems less of a fruity tartness that I suspected last year might have been a cranberry addition, and more of a gingery spiciness that quickly flattens out and finishes thinly, without any closing snap. Is the 2013 OSA still worth drinking? Sure. And worth holding onto some bottles to see how it stacks up against new versions in the years to come, not that I ever manage. I may even go pick up another six-pack of this year’s to confirm my impressions, but this isn’t going to go down as one of the best of the bunch. Hell of a label, though. Nice write up! I loved the description. Looking forward to reading the other 11. Cheers! Thanks, Chris. Enjoyed reading about your 12 picks at your blog site, too.